The organ is the 4th instrument to be installed in the sanctuary of Third Baptist. The first was installed in 1885. It was replaced by a Kilgen organ of 60 ranks in 1920 when the room was remodeled. 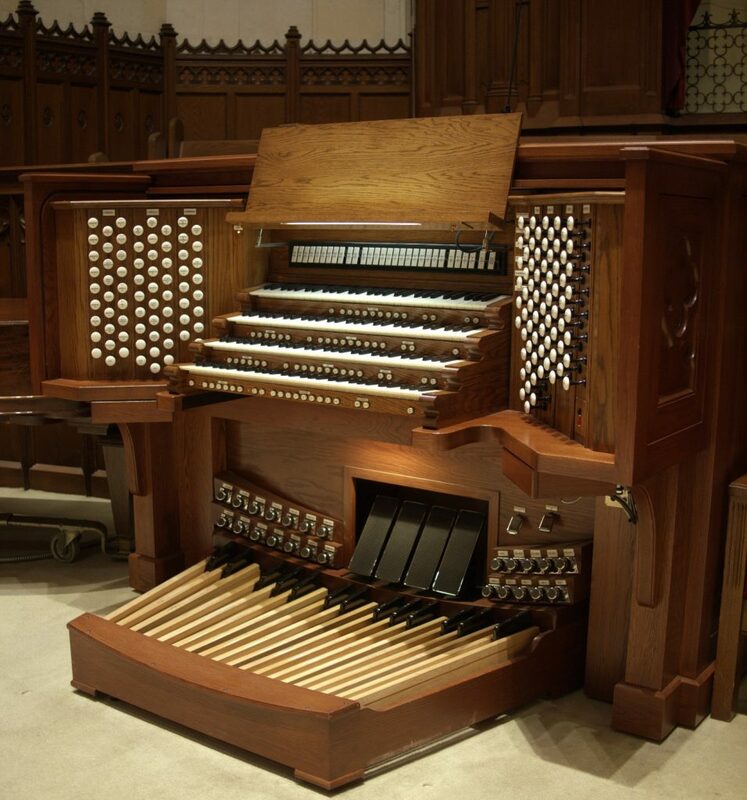 That instrument was mostly destroyed by fire in 1929, and Kilgen installed an incomplete organ of 30 ranks in 1930, In 1947 the Möller Organ Company completed the instrument with 59 ranks, utilizing most of the existing Kilgen. The entire organ was removed, rebuilt and enlarged and reinstalled in 2012 by the Reuter organ company. The organ now has a total of 4933 pipes across 72 ranks in 7 divisions, including a 6-rank antiphonal division that speaks from the ceiling of the rear of the church, and contains pipes from the 1920 Kilgen. The organ also has a Tibia stop that was salvaged from the organ that was once in the St. Louis Theatre, now called Powell Symphony Hall. A new 4-manual console was built by Jim Schmidt of Alhambra, Illinois. In February of 2013 the organ was rededicated in a concert event performed by Dr. Frederick Hohman. A complete specification of the organ can be found at third-baptist-organ.org. Photo and other information used by permission of Third Baptist Church, T. Simons.